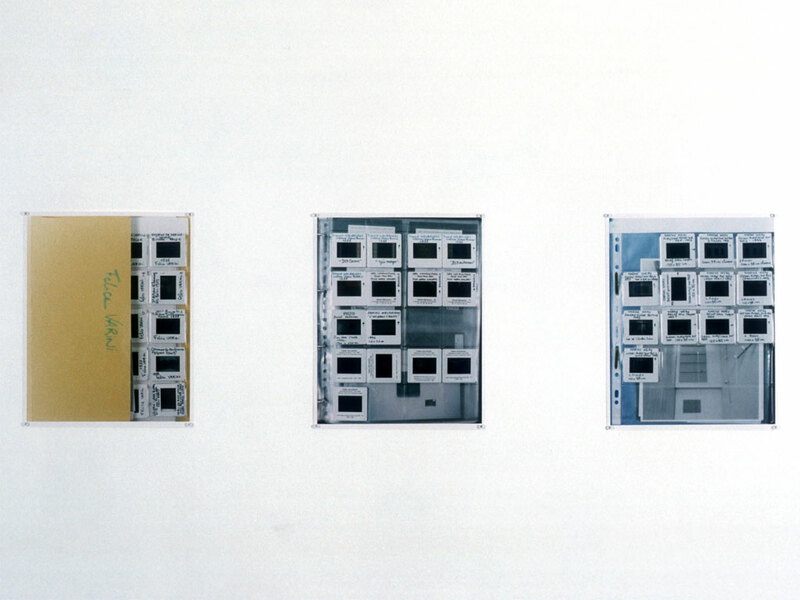 64 C-prints, 30.5 x 24 cm [12 x 9 1/2 in.] each. 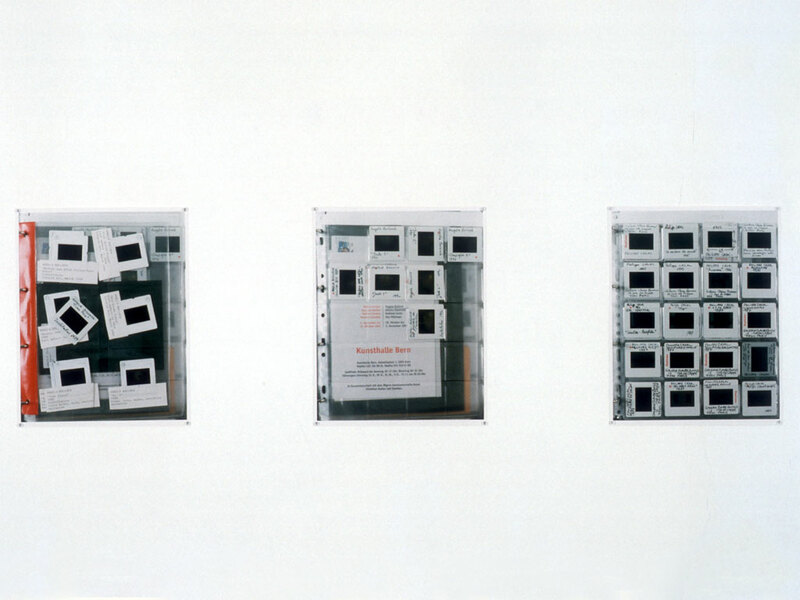 An archival box containing the complete series of prints was produced in a limited edition of 3. 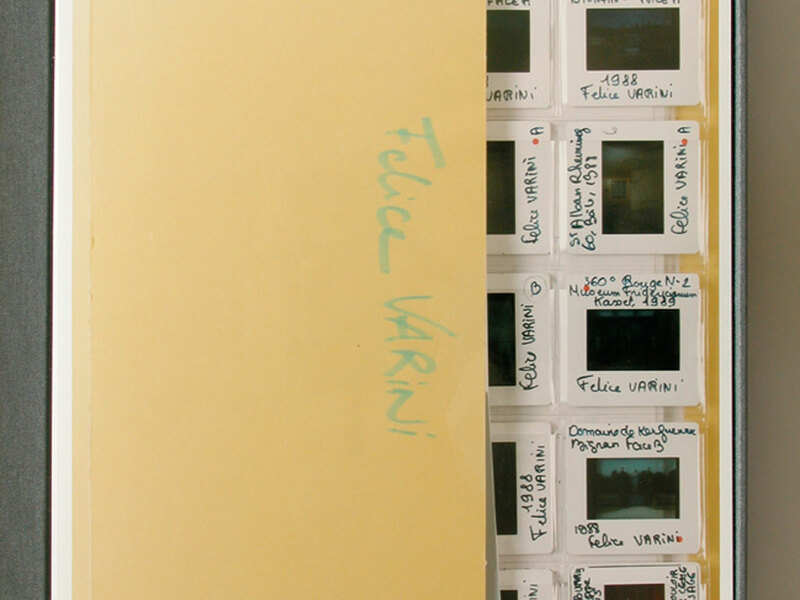 Slide sheets in the gallery’s archives were photographed in their binders. 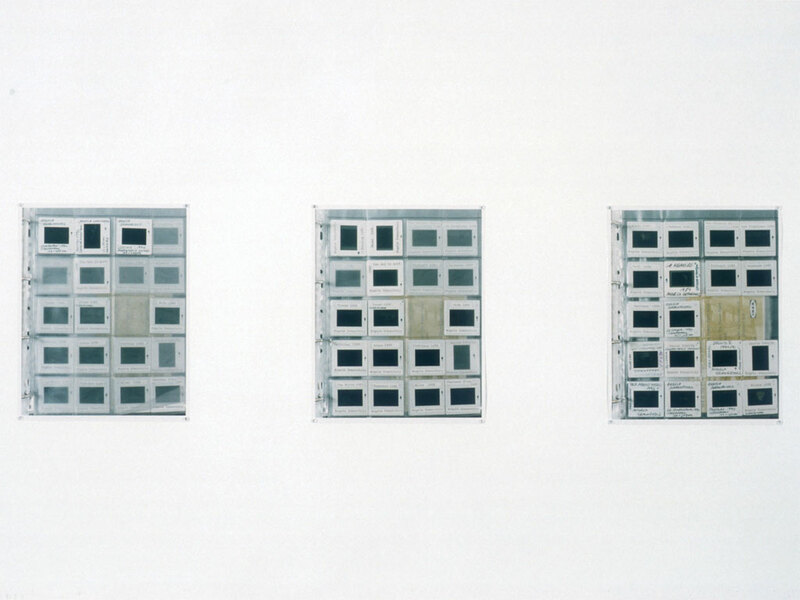 Printed in actual size, the resulting 64 photographs were hung on the gallery walls.